Can I export SeaMonkey emails to Thunderbird in bulk at once? Is it possible to migrate attachments associated with the SeaMonkey emails? Is there any option available to exclude the duplicate files from SeaMonkey email client? Does the software impose any file size restriction during migration from SeaMonkey to Mozilla Thunderbird? Is it necessary to require any extra email application for the migration? How long does the software take to complete the migration procedure? As everyone knows that the migration from one platform to another is not so simple. Therefore, it is always recommended to go for a third party solution i.e. 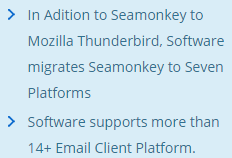 SeaMonkey to Mozilla Thunderbird Migration tool. 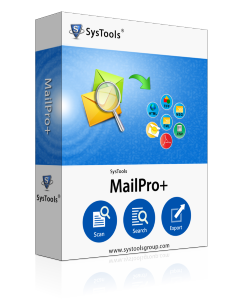 It is the best software, which designed to move emails from SeaMonkey to Thunderbird in a reliable way. Additionally, it offers unique features that attract users to utilize this tool instead of others. There is no file size restriction imposed by this software and also migrate multiple emails from SeaMonkey to Thunderbird at once. Moreover, an amazing part of this software is it maintains the data integrity and also remove the duplicate files without any data loss. Is this software capable to import emails from SeaMonkey to Mozilla Thunderbird in bulk? Yes, users can easily migrate all the email messages to Mozilla Thunderbird in bulk. Can I add exported SeaMonkey files to Thunderbird? Yes, this tool can easily merge all the files after SeaMonkey to Thunderbird migration. Does the software provides delete duplicate emails option during migration procedure? Does the software detect the location of SeaMonkey emails automatically? Yes, SeaMonkey to Thunderbird migration tool comes with an attractive feature that the tool will search all the files in .mbox type automatically to execute the migration. SeaMonkey uses MBOX file for each email, which are stored in a separate MBOX file as plain text. Whereas Thunderbird is a versatile quick search email application designed by the developer. Therefore, most of the users want to switch from SeaMonkey to Thunderbird. As the manual to migrate SeaMonkey emails to Thunderbird is very monotonous so, one can use this Best SeaMonkey to Thunderbird migration tool. Even a non-technical user can use this tool without any expert help.